Twinkies are difficult to find in the UK, and always remind me of my love for American films and TV. 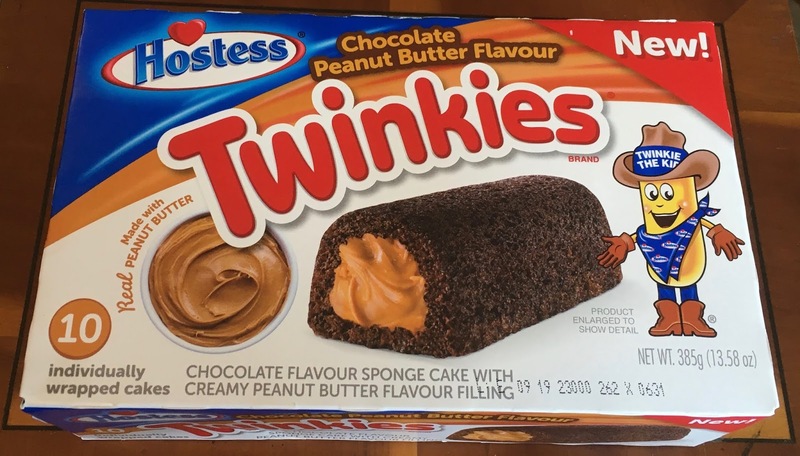 They do occasional turn up in import shops, but I found these “new” Hostess Chocolate Peanut Butter Flavour Twinkies in a regular supermarket, which seemed a bit strange. I quickly put the box in my trolley, and tried to remind myself I had only popped in for milk and bread. Oh well. Although these say “new” on them I have to admit I’m not sure how new they are. In terms of newness to the British market they totally hit the mark, but I’m guessing these could have been out in the States for some time before making it to the shelves here. I’m going to try and ignore the fact that I failed the intelligence test on how to open the box. I ripped where it said to rip and then the box just didn’t open properly. I did mange to get an untidy way in though. Inside the box were 10 individually packed dark brown Twinkies. I broke one in half and noticed there didn’t seem to be as much peanut butter filling as the picture suggests, but once I had bitten in properly I realise it was just unevenly distributed and that there were some large blobs. 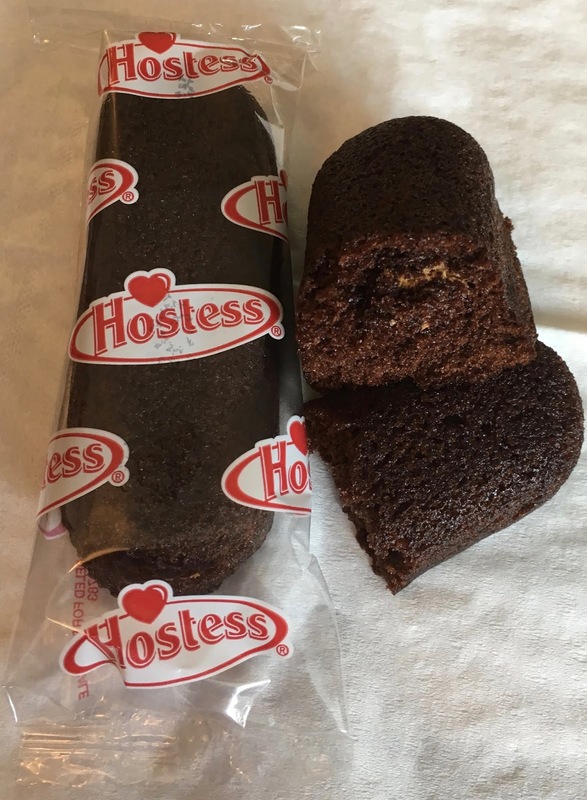 I liked the chocolate sponge flavour, it was sweet and pleasant, and the texture was light and moist. 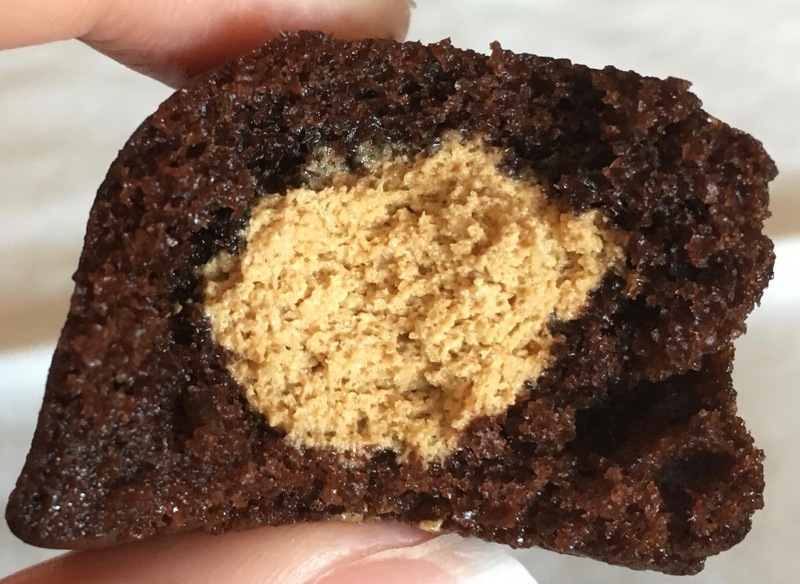 The peanut butter filling, even where it where it was generously heaped within was very mild in flavour. It added a gentle nuttiness, and it worked well with the rest of the cake. There are light and easy to eat, and deliver a nice chocolate hit, with a hint of peanut too. These made a lovely sweet treat, especially to nibble on while catching up on favourite American TV like The Big Bang Theory.